Karin Fenty is a consultant with Forrester's Market Impact group. Her team helps B2B marketers and technology providers better understand and engage with their customers through custom marketing content driven by objective research. Karin leads custom consulting engagements to create independent, data-fueled stories and deliverables that help her clients capture mindshare across channels and turn prospects into customers. 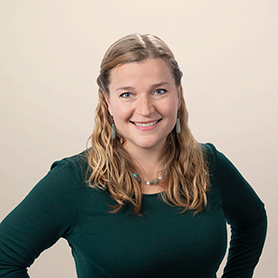 Prior to joining Forrester, Karin worked at ShopRunner as a market research manager, where she built a rigorous customer research capability to guide business strategy and marketing content. Prior to that, Karin was an insights strategist at Siegel+Gale, where she mastered research design and data storytelling to create compelling, data-driven brand experiences for large B2B, B2C, and nonprofit clients. Karin holds a B.S. from New York University's Stern School of Business, where she majored in marketing and finance and minored in psychology.